Join us at 2pm SLT today, Monday 14th October, for Designing Worlds at our studio in Garden of Dreams, as we explore the virtual City of Birmingham Library to discover a fascinating project that shows a convincing business use for virtual worlds. 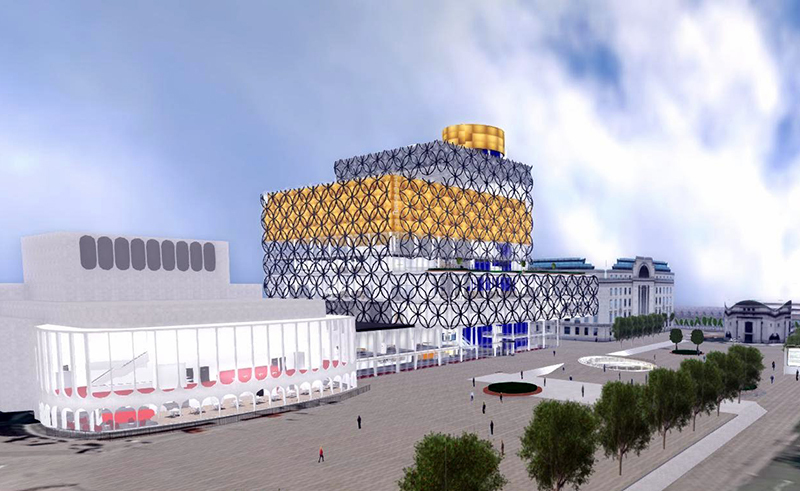 Back in 2009, the City of Birmingham in England wanted to create an immersive online version of their planned city centre library. They turned to the company Daden Limited to realise their concept. This became a valuable tool in the creation of what is now a magnificent building in the heart of the city. Together with David Burden of Daden, we will be exploring the library, the interactive tools that were created for discovering people’s responses, the training processes that were created – and learning how the librarians and other people responded to this. And we’ll also be talking to David about why he feels that Second Life is no longer the best environment for creating such projects. He makes some serious and very valid points – you won’t want to miss this! This may be one of our most thought-provioking shows ever– so do come and watch it at 2pm! Previous Post: Discuss Mesh, Materials and the changes to the Linden Lab Terms of Service at Prim Perfect Head Offices today! 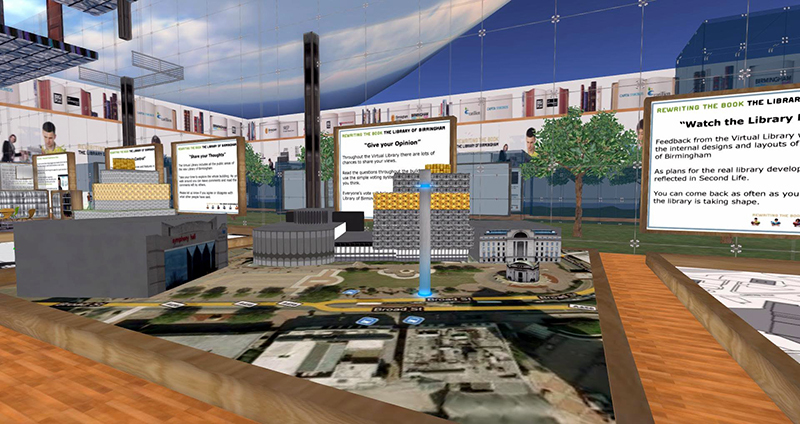 Next Post: Designing Worlds’ visit to the virtual City of Birmingham Library is now on the web!